A frequent mistake new business travelers make is packing too much. When you’re packing your suitcase the night before your flight it’s easy to start grabbing everything that catches your eye. Before you know it your suitcase is too heavy to lift! Two years ago Marriott International bought Starwood Hotels, and in August the merger of their rewards programs--Marriott Rewards and SPG, along with The Ritz-Carlton Rewards--was completed. Some of the major changes include the ability to book hotels across the brands using your newly combined point balances, no blackout dates, new elite status levels and benefits, and all room rate and incidentals now count towards earned point totals. Simply log into your account to see your newly updated status and point totals. At this point the names of the programs are staying the same, with a new program name announced sometime next year. As is often the case with major technical endeavors such as this, there have been some issues with members receiving the incorrect status level, missing points or stays, or conversion errors. Be sure to double check your account to ensure everything is correct, and if you notice any inconsistencies contact the program’s customer support. In the time between checking your luggage and collecting it from the carousel on the other end, hundreds of people have potentially come into contact with it. This creates a number of potential risks from the bag not ending up on the same flight as you to items being stolen from inside the bag to someone mistaking it for their own. AirBolt have come up with a product that addresses all of these issues, and it’s TSA approved! 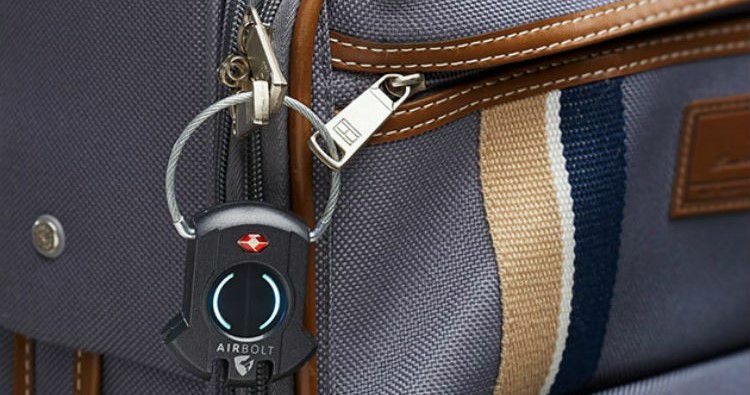 Their smart lock is app controlled, allowing you to track the location of your bag on your phone. But sometimes our phones die, in which case you can enter a combination code directly on the AirBolt. It’s also tamper-proof, preventing anyone from opening it manually if too many wrong combinations have been entered. Every time it’s opened it’s logged in the app, showing you its history and giving you peace of mind no one has accessed your bag when it was out of your sight. It's available in six colours, is Bluetooth enabled, weather resistant and rechargeable via a micro USB.